Any device requires accessories and drones aren’t an exception. Fortunately, this list of the best drone accessories will help you find the right ones for your drone. These days we can’t imagine going on a journey or shooting breathtaking photos without a drone. A drone is a great way to get pleasant and beautiful memories. Aerial photography attracts us with its uniqueness, unusual camera angle, and stunning photos. Drone images allow you to see all the beauty of a city or a breathtaking view. They make you admire, even with simple pictures. But to get the perfect shot, a lot of experts at this type of photography advise buying special accessories. These accessories are important for taking awesome pictures, especially when you want to take a professional picture. When you need to pack everything for your drone, this carry case backpack will be appropriate. It will keep all your drone accessories safe during transport. This bag is quite portable and can be worn both on the back and on the shoulder. In addition, it’s made of durable and waterproof material that can be easily cleaned if it gets dirty. It’s equipped with a variety of pockets and adjustable straps. There are also more benefits: it’s spacious, it has a separate rain cover, and it’s designed specifically to fit all types of drones. No doubt it’s the best way to transport them. FliFLI has created an AirDrop Release Kit. This is one of the best portable releases. It can be activated with a remote control that’s included. The AirDrop can send and receive your data interchanging the one’s ID. Additionally, it has an advanced operating system. And the usage of AirDrop isn’t a problem even for a beginner. Its battery lasts for more than 3 hours of continuous operation and about 410 hours of standby time. Thanks to the FliFLI AirDrop, you’ll be able not only to take photos and videos but also deliver small items (medicine, gifts, etc.). This high-capacity battery is an excellent addition to your accessories. Perhaps it may be the most necessary. However, take into account that it works only with DJI Phantom 4. Now your flights will be even better and longer. This battery is quite compact, protects your device from overcharging, and shows you how much flight time you have left. It has excellent self-discharge protection, more than 30 minutes of flight time, and weighs just over a pound. With this battery, nothing will prevent you from enjoying long flights. Once you’ve purchased a high-capacity battery, you just need to have a battery charging hub. This hub is able to charge up to three DJI Phantom 4 batteries at once, but it’s better to charge them one by one. In addition, your batteries will be charged in sequence, from the highest power level to the lowest one. Moreover, this hub keeps the battery charge at around 50% in storage mode. This is a high-quality accessory. You can take this excellent screwdriver set everywhere because it’s easy to put in your pocket. You can use it to fix not only your device but also for domestic purposes. It holds 57 durable tools. Every tool is made of anti-magnetic and anti-acid steel, meaning that they will last for a long time. They’ll be indispensable at any time. This is the best screwdriver set for travelling due to the included spacious but compact bag. Furthermore, it will help you fix anything you need to (drones, computers, tablets, smartphones, and other devices). If you want to record breathtaking and long videos, 256GB is the right capacity for your needs. You can use this SD card for drones, smartphones, and game consoles. With a 95 MB/s read speed and 90 MB/s write speed, you can record and copy files quickly. This card is suitable for shooting 4K Ultra HD video and will save a lot of great pictures. The DJI Immersive FPV Goggles are designed for flying DJI drones. With these goggles, you can see the beauty of nature from a bird’s-eye view. In addition, you can share this awesome experience with your family and friends. You can use your head to control the angle of the image. All you need to do is turn left or right to see breathtaking views. Moreover, you can connect the goggles to any other device via USB to view recordings. It’s possible to use this awesome device for 6 hours. The integrated antenna guarantees 360-degree coverage, allowing you to enjoy the video directly streamed from a drone. And the high-quality HD screen will make your experience more exciting. Usually, it’s difficult to take a picture during the sunny day. The glares on the screen are so irritating and prevent from clear view. Fortunately, this awesome Monitor Hood made by DJI can cope with this problem. It shields the LCD screen on a Mavic Pro Controller from direct sunlight. Furthermore, you attach it to your smartphone. The Hood is made of high-quality plastic. In addition, you can attach it quickly and without any problems. If you’re an inexperienced photographer and want to get great pictures with good contrast but without much glare, the best way will be to buy camera filters for your drone. They help you shoot long exposures in the afternoon. A large set of filters will open up all kinds of possibilities to take perfect pictures. If you shoot a cityscape and increase the ISO, you’ll get a slightly blurred photo with a lively effect. It will look natural and harmonious. No doubt camera filters are essential for anyone who uses drones. 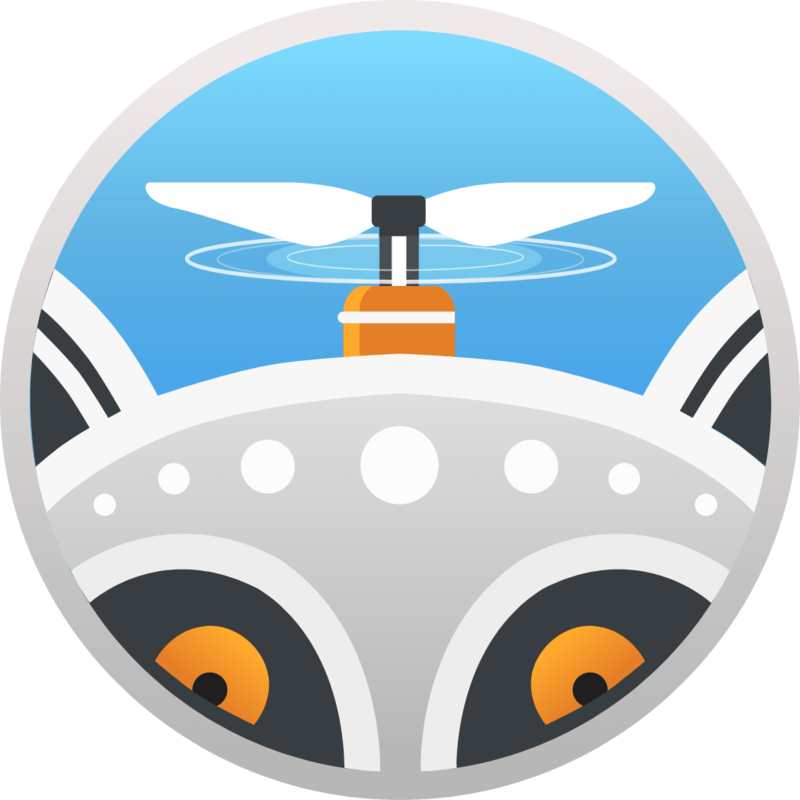 Moreover, it takes only a few seconds to attach them to your drone only. With camera filters your shots will be always stunning and beautiful. Have you ever had a situation when you launched your drone but it couldn’t show the video well due to interference or lack of Wi-Fi? Now this problem is solved thanks to antenna signal boosters. They allow you to fly a greater distance by reducing the angle of the signal. They’re made of high-quality plastic and designed with an inner reflective surface. After their installation, your videos and photos will be clearer because you’ll be able to receive a signal to the transmitter without any problems. This is a must-have item for every drone pilot. If you decide to launch your drone during the day, it can be difficult to control it when the sun is shining brightly. In this case, you’ll need this mobile sun shade that protects your control panel from the sun so you can easily continue your flight. This great accessory is suitable for all drone lovers and may be a great gift, especially since it’s inexpensive. Moreover, it will improve the view of your screen in the daytime. It can easily be attached to a smartphone and won’t take up much space in your bag. This lanyard is a great accessory to ensure the security of your controller. Sometimes there can be unpleasant incidents and your controller can fall out of your hands and get damaged. The best way to avoid trouble is to purchase this accessory. It’s quite durable and is adjustable. The tapered width guarantees additional strength and comfort.to relieve pressure on the neck. If you don’t want your drone to get dirty, then this accessory will be a real salvation for you. Thanks to the PGY drone launch pad, you won't damage or dirty your drone. In addition, it will ensure a safe landing even at night, as it has a built-in backlight that operates in three modes. If you often use your drone at night, this landing pad will be indispensable. It’s made of high-quality and waterproof material so you can use it even in snows and rain. Moreover, it may be easily packaged in a special case that doesn't take up much space. Usually, any alternative controller looks like a real joystick, and you can use it to easily control your drone. Amazingly, it was designed by astronauts. This device lets pilots use only one hand to fly a drone. So flying will be easier and more exciting. This controller is suitable for almost all drones and works with DJI radio and Fluidity apps for Android and iOS. The simplified form of the controller will allow you to feel the excitement of the flight. This device will help you if you lose your drone and do not know its exact location. In this case, Bluetooth tracker is the best way to find it. It’ll help you to identify the drone’s location point with high accuracy. However, some drones have already had a built-in type of such tracker, but if your one doesn't have it, you should check and purchase Bluetooth tracker right now. You definitely won’t regret. There are 3 models available: Slim, Mate and Pro. Depending on the chosen device, the range of coverage varies from100 (for Tile Slim) to 300 meters (for Tile Pro). The main benefits of such Bluetooth trackers are small size, pretty low weight, accuracy, and versatility. Any device requires accessories and drones aren’t an exception. Fortunately, this list of the best drone accessories will help you find the right ones for your drone. Remember that each of these accessories is important and useful in its own way. You’ll definitely find something you like on the list.